The Great Ocean Road in Victoria, Australia, stretches for 243 kilometres along some of the Australia’s most spectacular coastline. 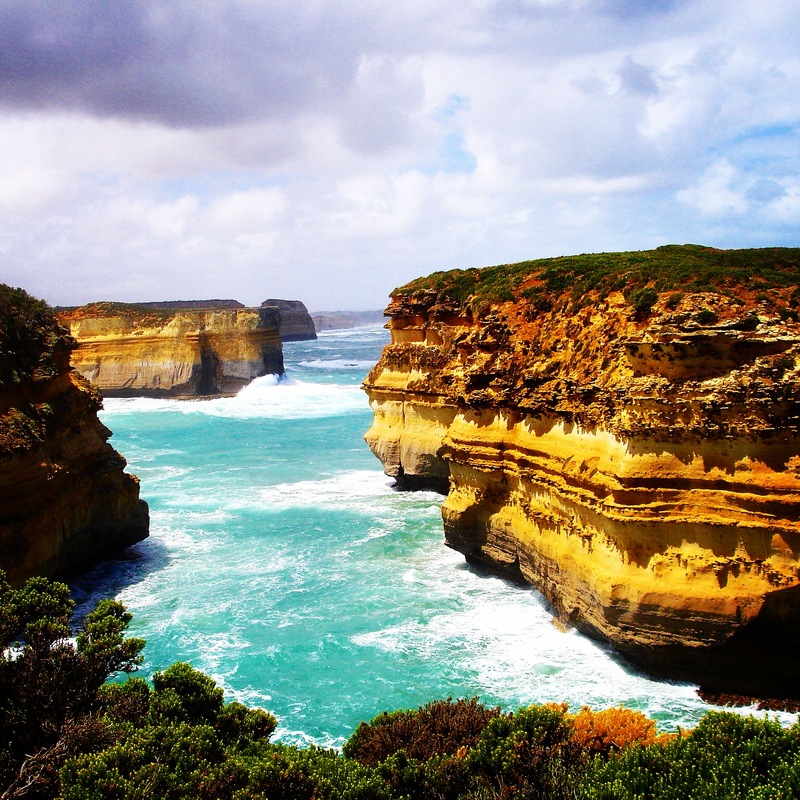 The road winds along the coast and passes through the pretty seaside towns of Anglesea, Apollo Bay, Port Campbell and Lorne and passes by landmarks including the The Twelve Apostles, London Arch and Loch Ard Gorge. It is a must see for anyone travelling to Victoria and makes for a beautiful weekend or overnight trip from Melbourne. If you prefer walking to driving, the Great Ocean Walk connects 104 kilometres of hiking trails between Apollo Bay and The Twelve Apostles. There are plenty of places to stay along the coast for all tastes and budgets and some great food and wine experiences along the way. ELE travel tip – if possible avoid summer school holidays and long weekends when the towns are full to capacity and the road is busy. Great photos great advice from another fan of the great ocean road. Thank you A Flash Packer Guide! Such a beautiful area. Love it! You described it very well and those are stunning pictures! Thank you thehungrymum, it is such a beautiful part of the world. Some day I will drive and explore this stretch of coastline. So gorgeous. I would imagine the closest thing to it in the States is the Pacific Coast Highway of Northern California. Very nice. Hi goodmorningfromme! We drove the Pacific Coast drive late last year and it was similar- both so beautiful. Ah. One more place to add to the list of places I’d like to see. Thanks for the wonderful pictures. Many thanks for stopping by my blog. I appreciate it. Beautiful photos. We were talking about visiting Australia sometime, and this makes me want to leave today. This area looks like a perfect destination. Hi, you should definitely visit- so many beautiful places to see!